Because of my good friend, Brynn, I am now a little bit addicted to this show. I love that it’s a show about family. I cry in almost every episode. It always brings it back to family in the end & just like Modern family usually does, I shed a few tears at the end. However, the end of season 1 proved to be a real tearjerker. I don’t even remember what happened at the end now but what I realized at 2 am that Tuesday night was the real reason behind the tears. I so desperately want a family. Watching a show about family only intensifies my longing to have one of my own. God is faithful and His timing is perfect. If things had happened according to “my plan” we would not be on the path we are on. But sometimes it still really hurts. I don’t think I’m alone on this. « visiting orphans, part 2. Love you & you my friend, will be the best mommy. He is going to rock your world..more than you could ever ask, plea, or beg….you just wait!! Praying for the “abundantly more” moments to invade even now! My husband and I are in the process of adopting our first and second child from Rwanda and Uganda. I, too, loved Brothers and Sisters, love Parenthood, cry every episode because I long to be a parent and have a family,… I should just say “ditto” to the entire blog post. I’m with you. It’s a difficult journey. I’d love to meet up with you for coffee if you’re ever in the Dallas area. I’m friends with Jessica Honegger (through our Rwanda adoption) and I think we have a few other friends in common. Love following your blog. haha, i LOOOOOVE parenthood, too!!! i just discovered it, like, a few months ago! i’m addicted. i did download the pilot episode on itunes, but then restrained myself to order the first two seasons from the library. i’m in the middle of watching them both, right now. I love parenthood. My life is not at all what I thought it would be familywise. I never thought I’d be almost thirty with no kids of my own. Sometimes it is hard to trust God’s timing. I also sometimes wonder if I”m a glutton for punishment since I am obsessed with watching Parenthood…. I also want to just say I agree with everything of this post. 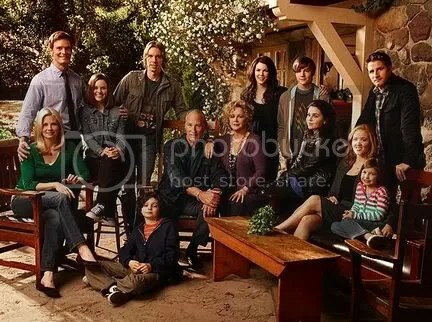 🙂 Loved Brothers and Sisters and am now in the middle of the second season of Parenthood on netflix. I love it and cry every episode as well. My family also doesn’t look “as planned” so far. It’s a daily thing with me and it’s why I love your blog! It’s nice to remind myself sometimes I’m not alone. Thanks for the reminder and you are NOT alone!